Blog Technology & Tools How to redeem Google Cloud Platform (GCP) Credit in Admin Console? 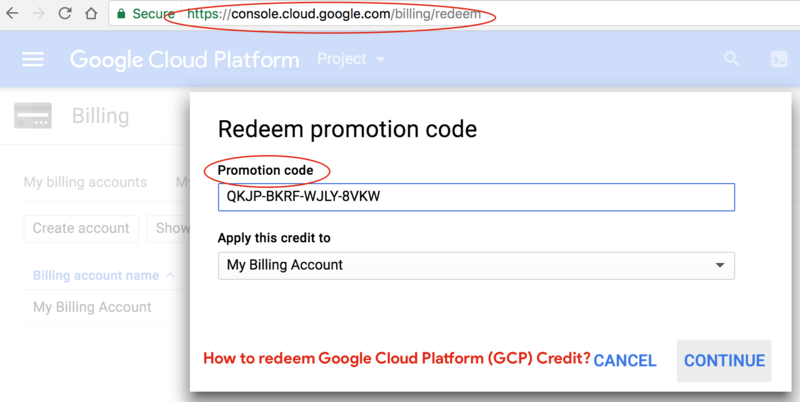 How to redeem Google Cloud Platform (GCP) Credit in Admin Console? Couple of weeks back I’ve attended Google Next 17 at SFO and it was mind blowing event. So much Google announced on those 3 days and I can’t wait to explore new ideas and development work on Google Cloud Platform (GCP). It seems, lots of great announcement made me believe that, Google is now ready to compete with Amazon Web Service (AWS). I hope this link will help others to redeem GCP credit quickly without looking for where to redeem it 🙂 . Happy coding and good luck with Google cloud development.